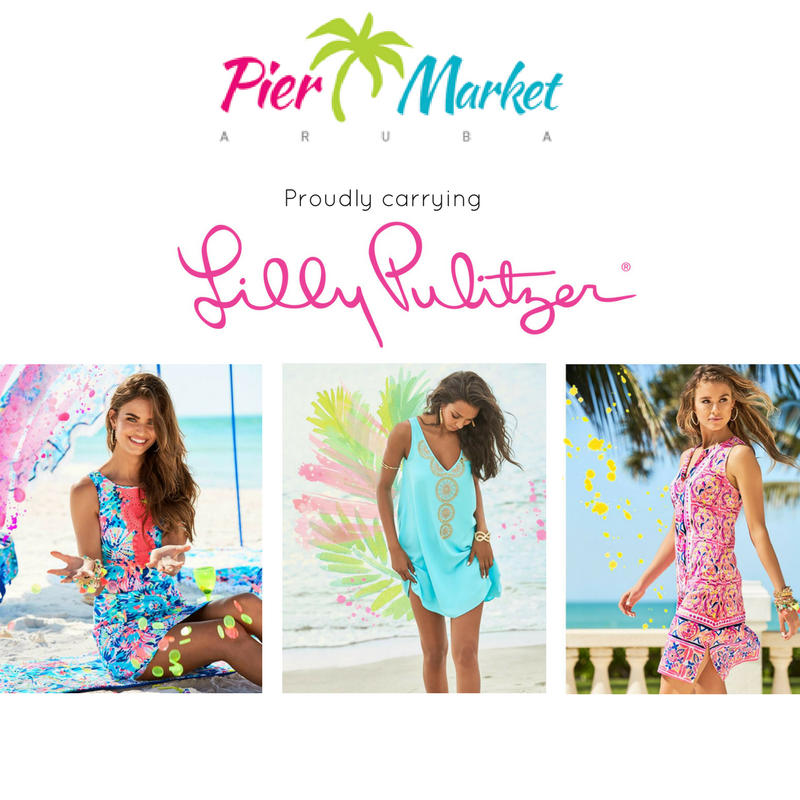 Pier Market Aruba proudly carries Lilly Pulitzer ?. Summer: be it morning, noon or night. of printed and solid shorts, rompers, tees, tanks, pullovers, shirts, kaftans, beach dresses & cover-ups, UPF50+ sun guard clothing, Luxletic active wear, pants, jumpsuits, cocktail and party dresses, matching bags & totes in multiple prints, jewelry & hats, scarves, flip-flops, shoes and gift items. We now also carry Lilly?s Mom and Daughter matching outfits for girls ages 2-12. The Lilly Pulitzer specialty store is located inside Pier Market, across from Starbucks.